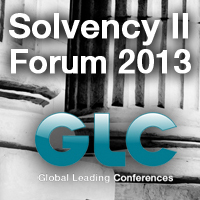 GLC Europe is delighte d to invite you to the Solvency II Forum 2013, on 21st and 22nd of November 2013, in Vienna at Fleming’s Deluxe Hotel. Over the last years both large and small insurance companies had to face with an increasingly complex set of domestic and international regulations. Meeting international requirements is an increasing challenge for the insurance community particularly when it comes to operating within the EU Solvency II regulatory framework. The with a blend of incisive commentary and lively debate, the Solvency II Forum 2013 will be a vibrant platform for attracting decision-makers from the insurance sector, aiming to look at the impact of these changes and requirements and explore how both the regulators and the industry are rising to the challenges of implementation and to become one of the best deal-making and networking events of the year. We hope that you will be able to join us, share your ideas and debate the challenges the insurance sector has to face with nowadays. For more information on the event or to register to attend, visit GLC Europe website.